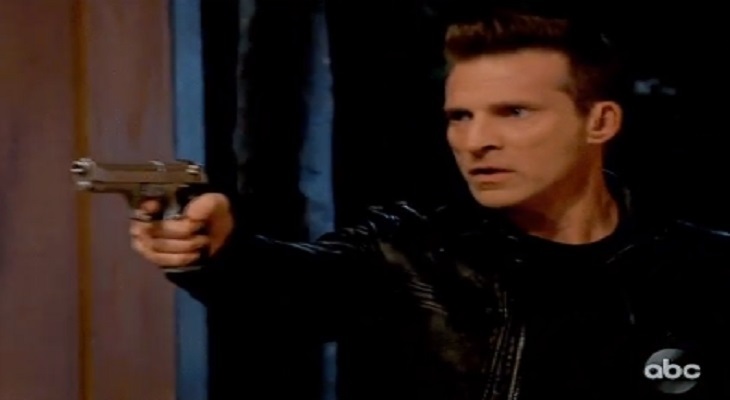 General Hospital (GH) spoilers for the week of Monday, March 11, 2019 through Friday, March 15, 2019 tease that we will have a week filled with one wanting revenge, pieces to a puzzle fall in place, and let’s not forget plenty of drama. We have a very exciting week heading our way and you will not want to miss a moment of the action! This week, Ava Jerome (Maura West) will go to General Hospital looking for Ryan Chamberlin (Jon Lindstrom), but runs into Kevin Collins instead. Ava will be highly upset and furious after recently finding out that Ryan was the one who killed her daughter, Kiki Jerome (Hayley Erin). Ava will go past Franco Baldwin’s (Roger Howarth) room while looking for Ryan and he will call her in to try to calm her, but the only thing on Ava’s mind is avenging her daughter’s death. Do you think she will end up getting a hold of Ryan? Meanwhile, the pieces of the puzzle will start to fall into place as Drew Cain (Billy Miller) and Jason Morgan (Steve Burton) uncover another clue. As we all know they are learning more information about Dawn Of Day and Shiloh Archer’s (Colby Ryan McLaughlin) involvement. They will continue to learn more that will help them figure out just what Shiloh is up to. Do you hope that they bring him down? For the other residents of Port Charles, Sonny Cornithos’ (Maurice Benard) good deed pays off. Josslyn Jacks (Eden McCoy) takes the blame. Michael Cornithos (Chad Duell) is pulled into an argument. Alexis Davis (Nancy Lee Grahn) offers her services. General Hospital Rumors: Will Joss And Carly Be Pregnant At The Same Time? Jason Morgan reassures Molly Davis (Haley Pullos). Sonny and Jason connect the Dots. As you can see we have a very eventful week coming up, so make sure to stay tuned to ABC’s General Hospital. Don’t forget to check often with Soap Opera Spy for all your latest spoilers, news, updates, and much more!